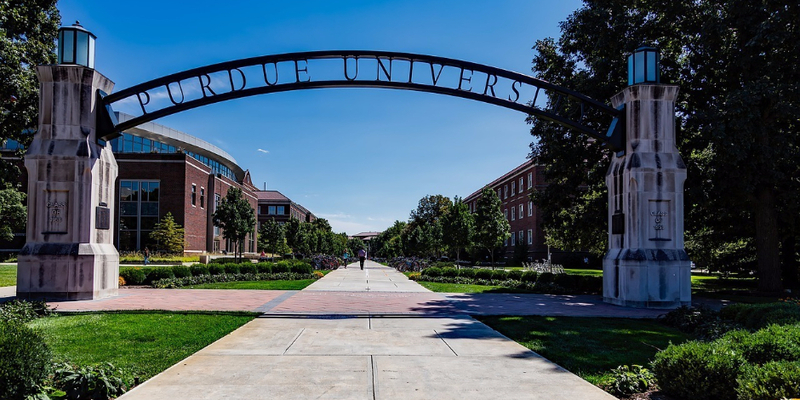 Attributing revenue to social media is a big challenge for businesses, but Purdue University may have cracked the code with their annual fundraising campaign. In 2017 they raised $28.2 million in single day—$10 million more than their single-day campaign in 2016. They also increased support from international donors by 87 percent. In this episode of the Hootcast podcast, we chat with Steve Schlenk, who is the director of philanthropic communications for Purdue University’s development office, and Kate Jolly, director of digital fundraising at the Purdue Research Foundation. Purdue’s Day of Giving Campaign is a fundraising campaign that you run every year. Where did it come from and what is it about? Day of Giving started in 2014. It began as an initiative from our vice president. He asked us with coming up with a way to garner new donors for the fiscal year. We thought ‘why not go big or go home?’. And so we created Purdue Day of Giving, which targets the whole Purdue community on the day. You’ve had some big year-over-year improvements. Last year you raised $18.3 million and this year you raised $28.2 million, and you had an 87% increase in international donations. What are some big changes on social from 2016 to now? We’ve added social platforms each year. In our first year we only focused on Facebook. Since then we’ve added Twitter, Instagram, and we do a little bit on LinkedIn as well. But this year we added Snapchat, where we had three days of scavenger hunts for some very desirable prizes. And our primary goal with that was to raise awareness with students, though anyone following Purdue’s Snapchat channel could participate. We also launched a series of user-generated content challenges in the week leading up to the day where we invited our colleges and schools and programs and other units across campus, as well as individuals, to share Purdue Day of Giving-themed images and videos. We also continued with our video sharing challenge, which awards bonus dollars to the campus units who have had the most shares of our Purdue Day of Giving video, which is a piece create each year to help promote the day. Our social team was particularly interested in the Snapchat scavenger hunt and the leader board challenges that you guys did. They thought that was really cool. Do you think you could dive into that a little bit and walk us through what that looked like? This year we held our very first Snapchat scavenger hunt to promote Purdue Day of Giving. We had multiple opportunities for participants to win throughout a three-day period leading up to the big day, and we learned a lot. We’ve got a few tips and tricks for anyone who wants to try it. First off, plan ahead, and secure desirable prizes and show them off in a post previewing the scavenger hunt to help drive some interest and participation. Our prizes included Roku devices, Amazon, Echo Dot, Snapchat Spectacles, a pizza party for ten, football suite tickets and lots more. Second, share a teaser post about five or ten minutes ahead of you clue for the first prize, so that those who want to participate will have a chance to prepare and have a moment to get ready to stand by. You should always be clear on how someone wins, and as soon as you have a winner, take a picture of them with their prize within Snapchat rather than on the camera roll so that the post looks as good as it can within that Snapchat app. And finally, before the scavenger hunt begins you can promote it on your other social media channels to let everyone know that if they want to follow you on Snapchat, they can win some really great prizes. How did experimenting with some new platforms, like Snapchat, and doing new things on Instagram, contribute to success this year? We feel that Snapchat and Instagram really helped us raise awareness for the day, especially on campus, and everyone seemed to have a lot of fun. In fact the scavenger hunt was more popular than we anticipated. We also had the Snapchat filters available across campus during the Purdue Day of Giving, and we had a huge turnout for the comedy show that we presented to celebrate the day. It was open to the general public, and this year it featured then-Saturday Night Live cast member Vanessa Bayer and Anna Drezen. Did you find one tactic particularly successful out of all of the campaign pieces? I wouldn’t say one is more successful than the other; all of them serve a purpose. So the most creative selfie and Instagram video really create great user-generated content, whereas the 50th original tweet is decided on in the first 45 seconds because people are literally posting right at that time. But it helps to get it trending on Twitter, it helps to get the word out. Can you talk a little bit more about how social has contributed to the fundraising results? Like would you attribute the amazing participation and widespread engagement to the increase in donations that you saw this year? Absolutely, social is definitely part of it. With annual giving, you’ll have traditional channels (direct mail, phone) and web (email or online giving). Without social media, we wouldn’t be able to reach people outside those channels. It’s a really important way for reaching young alumni or people in our database that we have their parents’ home address, and we don’t have an active email address because it’s still their Purdue.edu that doesn’t exist anymore. Did you find that increasing the number of challenges to 33 hourly challenges and increasing the number of networks also helped to amplify that reach and contribute to the big bump in the amount that you fundraised? Absolutely, and we also have a metric for engagement, so we have impressions, and that number of impressions has increased year over year. We had 34 million impressions last year, so getting those units to serve as ambassadors in garnering their own social ambassadors increases that number. Has your strategy changed a lot from network to network? Yes and no. Facebook is still the king for us in terms of where we get the biggest bang for our buck, because there are so many of our target audiences on Facebook. You have parents, students, young alumni, old alumni, and grandparents. With other platforms you have more defined audiences. Twitter is mainly just going to be your students and younger alumni. Same with Instagram, and then LinkedIn is a more professional network with maybe a higher base of international alums seeing things. We have to look at our target audiences and what platforms they’re using and then adjust for that. Where do you focus most of your resources leading up to and during this campaign? When we were starting out, we focused on building awareness around the day. Each year we’ve shifted more of those resources away from awareness and education in the weeks leading up to the big day to spending more money on the day itself, so we can let people know that Purdue Day of Giving is here. Thank you so much for joining us in the podcast today. You’re given us a lot of really great information that our listeners I’m sure will be really excited to hear. I would also say that all the planning and preparation that goes into Purdue Day of Giving wouldn’t mean a thing if it weren’t for all the wonderful donors who make it possible and set records every year. So we just want to say a big thank you to all of them, and we’re ever grateful to everyone who’s participated. Well thanks again for joining us today, it was great to have you both on.